Want to get to th races early? 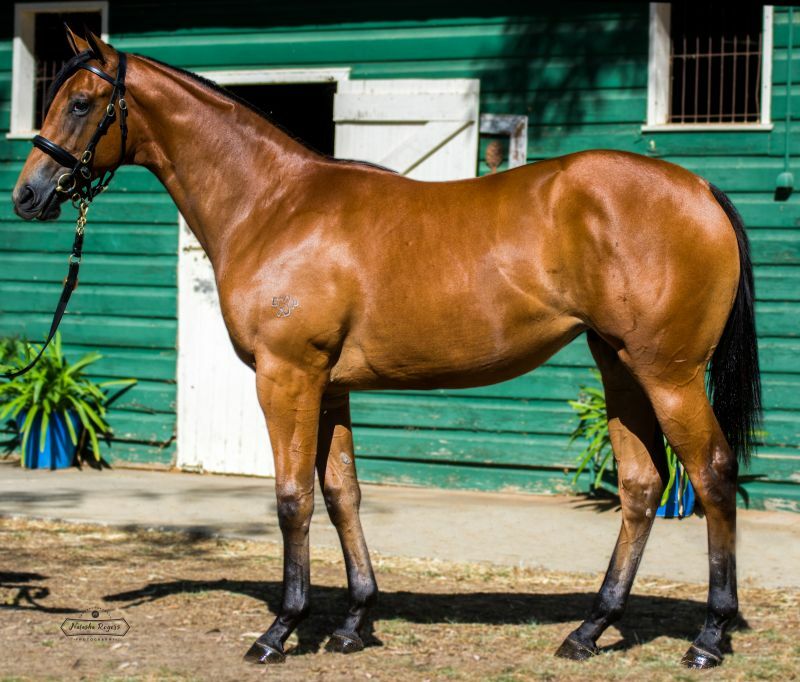 Take a look at this powerful filly by stallion on the up Reward For Effort. A blue-blooded son of Exceed and Excel, who is closely related to Golden Slipper winner Overreach, Reward for Effort has been a firm favourite with breeders since retiring to stud in 2011. With his oldest progeny now three year-olds, Reward for Effort is the leading Victorian based second season sire by earnings and winners and is third on the overall Australian Second Season Sires List to only Hinchinbrook and Beneteau. Reward for Effort has sired 29 winners including one each in South Africa and Singapore and his best progeny are headed by Group III winners Gold Symphony and Take Pride along with the $250,000 Inglis Banner RL winner Dalradian. As a racehorse his 10 race career started in brillian fashion with a win at 2yo on debut in the MRC Blue Diamond Preview. He followed this up with a decisive win the MRC Blue Diamond Stakes, defeating Starspangledbanner and Rostova. He competed only in stakes races and was undefeated weight-for-age winner as a 3yo and a group winner as a 4yo. The dam of this filly named Muppets is a Snippets mare and half-sister to Red Carrera. She has 4 foals to race, all have been winners.